Summer 2019 bookings are now available online.  Visit the Flower Homestead, a musher’s homestead tucked away just south of Talkeetna in the Boreal forest of Alaska. 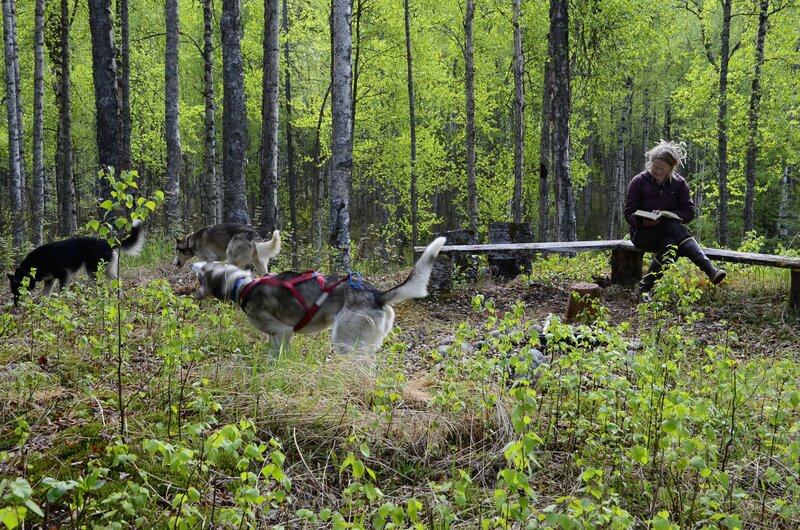 Here we live a sustainable life together with the Flower Kennel Sled dogs. 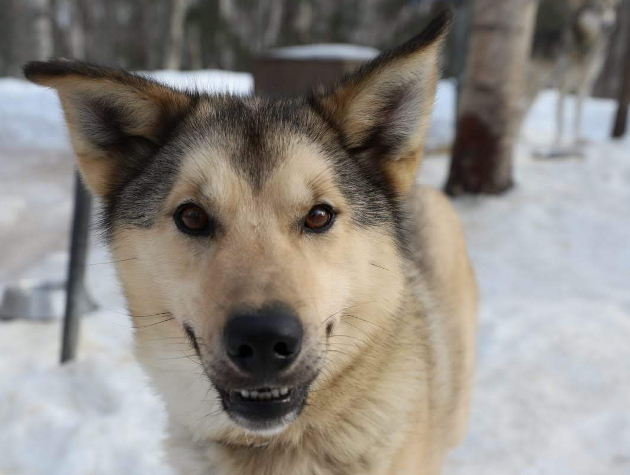 The kennel is unique in that the sled dogs are not only part of the family, but an integral part of our real authentic off-grid Alaskan lifestyle. 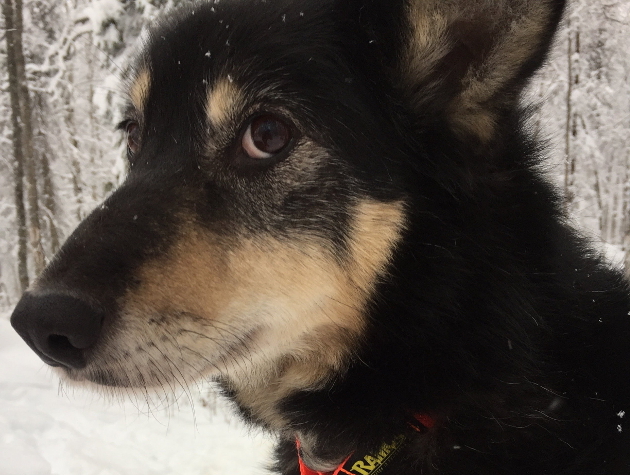 The dogs help with hauling water from our spring in winter and haul our building material and firewood we harvest from our homestead to keep warm and cozy during the cold Alaska winters. We grow, harvest and gather most of our own food and live a self-reliant lifestyle as much as possible. We are committed to our dogs and the Flower Kennel is their forever home. Our tours are an exclusive opportunity to see how and why we live in the far North. We are a small locally owned operation and our tours are casual and personal. Bluma is very shy and it took me a long time to gain her trust. But then she gave it all, and became my soul mate and main go-to solid leader. She knows left and right, but sometimes has her own opinion. 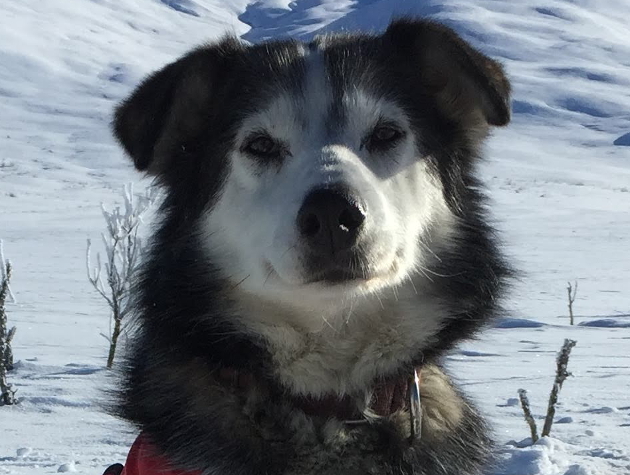 She is a major trail finder in the backcountry and drags the whole team over bare ice if I ask her to do so. 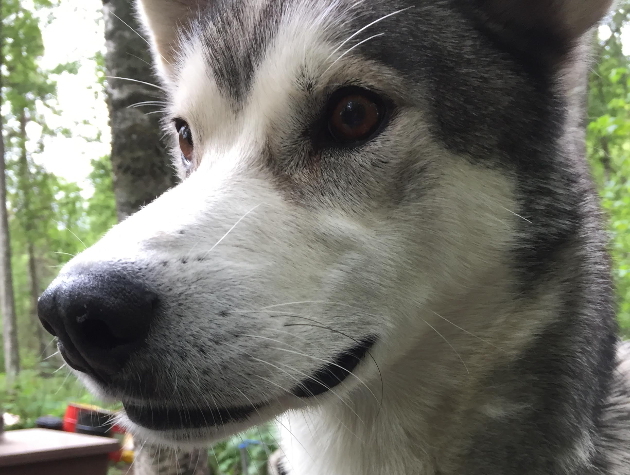 Sam is the big boy with a big heart. Always ready for a cuddle and he can't help himself, but giving a lick is his trade. Sam has a steady run and is always in for the long run. He takes over when the trail becomes long and boring. To Sam, the world seems intimidating and should be observed with a tilted head to see it from all perspectives. Hayden is full of energy and smart. He is super alert and never stops moving, except for the evenings on the couch. He will share the couch as long as he is petted or when its Flora. Strong, focused and a cuddle. Rachel is super delicate and smart; why pull when the big boys can handle it. But when the going is hard, its Rachel who leans her full weight into her harness. She leads the team from the front and teaches the boys some determination. She is the only one who dares to stand up to her sister Bluma and can't live without her. Mouse is the cuddle boy of the pack. In harness he transforms in a fearless hardworking dude most of the time. 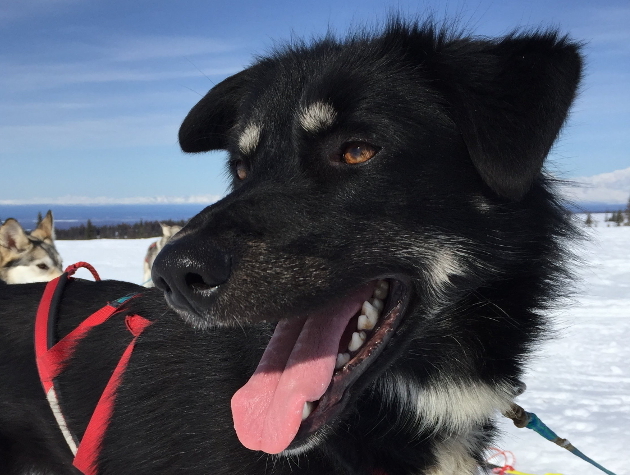 With his tail high up in the air, his eyes are always scanning for another opportunity to lead the whole team on one of his adventures. Kiglu is the power house of the team. 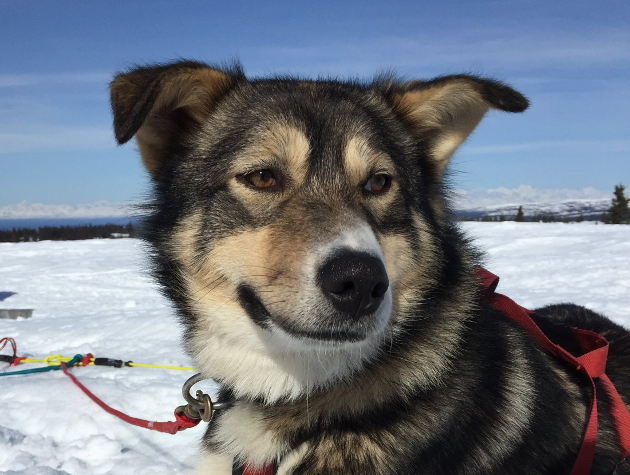 He is still learning to wait when loading water or firewood, but then he would single handed pull the load up to the cabin if it was up to him. Super strong, playful and curious. 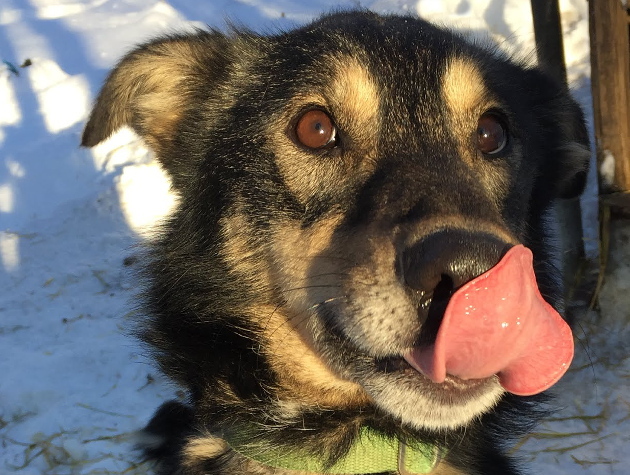 Lilja has energy, energy and then some more energy. Her big long tail will sway in the wind all day, and I suspect all night. 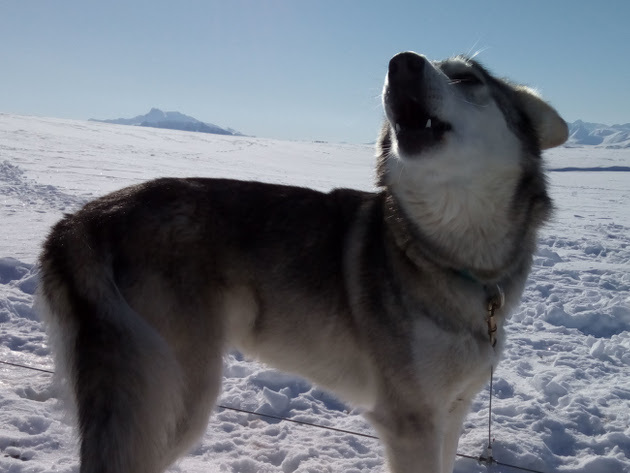 Along the trail she always finds fascinating sights and will let us all know with a bark or howl. Food or a snowflake falling out of the sky...why do the other dogs not get more enthusiastic? Flora is all business. Organizing her dog house garden, learning to lead, working in harness, claiming the couch, she does it all with an intense dedication and focus. Oh, and super cute.